There is one question in the publishing universe that has, and always will linger on author’s minds; how to promote and sell more books. With the publishing world changing continuously, marketing has had to evolve very quickly alongside it, with the eBook meaning the most dramatic changes publishing has ever seen. Whereas before, books were printed, launched with a grand launch party and then left to sell of its own back until the print run was sold-out, eBooks will now stay ‘in-print’ for far longer, and therefore an author’s promotion needs to be longer lasting and more accessible. Promotion can be expensive, and can out-date fairly quickly. This is why online promo is so popular with all authors, be it mainstream or self-published. Not only can it reach a far wider audience than an author could ever hope to achieve in isolation, it is easily ‘updatable’. If you refuse to dive into the online marketing world, you are essentially cutting off the main artery to your audience. That being said, here is a list of fantastic ideas to get your book promoted online. Some are an investment but a lot are free. 1. Build a Professional Author Website – not only can it be designed solely around you and your work, which means attracting your readers, but it acts as the central base for all online promotion to lead to, allowing you to gain your target audience’s attention and then sell sell sell. 2. Set Up Twitter & Facebook Accounts – you may dislike it or simply not understand it yet, but interacting with readers on social media is a sure-fire way to reach potential readers in real-time, giving them the most up-to-date information possible. Have a 24 hour giveaway competition, or perhaps your book is on special offer for a short time? Then this is the place to tell everyone about it. 3. 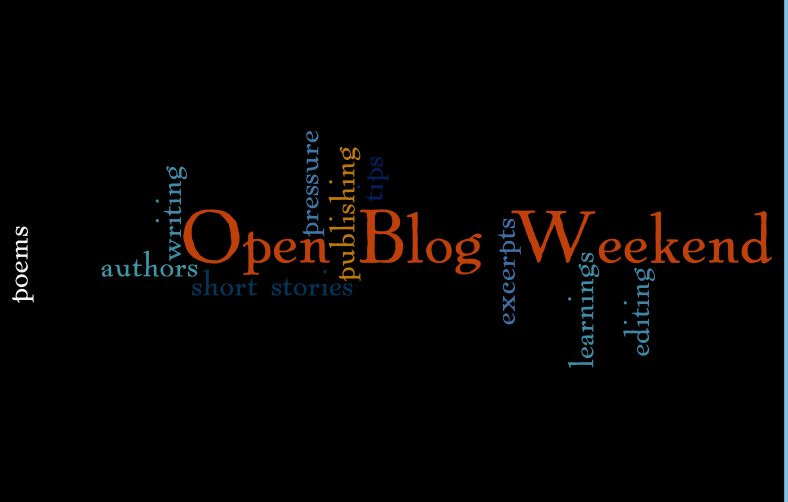 Set Up a Blog – If writing is your passion, why not blog about it? Readers, other authors and the industry in general are all interested in your writing journey. You can blog about the process of writing, the topics in your books or general life as an author, giving your readers a ‘human touch’ to your work. 4. Goodreads Giveaway – A freebie is a great way to gain interest and reviews of your work. Doing a giveaway on Goodreads means gaining interest from a wider reading audience which you may not have access to on your own. You need to be approved as an author by Goodreads, but this is well worth the effort. 5. Interact on Social Media – Commenting and replying on posts that are related to the topics in your book, or on writing can be a great way to gain a reputation as an expert in your genre and industry. 6. Free Excerpts – Posting free extracts of your book online (on your website is ideal) can give readers a great taster of your work. Adding a link at the end of each extract to buy your book makes it incredibly easy for readers to buy the whole book there and then. 7. Book Trailer – Make or ask a professional to build a book trailer. Visual promotion is far more popular than any other in today’s market and can hold potential reader’s attention for longer than static content. When done properly, a book trailer can also create an impression of professionalism and can be used across many online platforms. 8. ‘How-to’ Videos – If your book has a theme or topic that can be discussed in depth, create some ‘how-to’ or discussion videos for readers who have finished your book, or to entice those who haven’t yet. 9. Newsletter Sign-up – Embed a newsletter sign-up form on your website so that interested readers can receive periodical emails with your latest news. Interestingly newsletters have gone out of fashion in recent years, with too many junk emails clogging up people’s inbox’s. However, your name appearing in their inbox from time to time (whether they open the email or not) is enough to create a strong familiarity, so when they are looking for a new book, they may just look you up. 10. Guest Blog Posts – Whether these are interviews or discussions on your latest book, ensure you include a link back to your website where readers can gain more information and the all important retail links. 11. Website URL – As mentioned in the above point, adding your website address wherever possible will mean a far higher chance of potential readers buying your book. Place a link to your website in your email signature too, along with any awards, nominations or other ‘selling’ statuses. The more places your website is listed online, the better your SEO (Search Engine Optimism) will also become. 12. Reader Photos – Ask readers to send you photos of them reading your book. This can create a lot of fun competition. I have seen images of people reading on the edge of mountains, in pools or hanging from trees! This can be a great piece of promo for children’s authors. Once you have these you can post the best on social media and your website. Perhaps run a competition for the best photo? 13. Taster Readings – There were days when readers would gather in a library or bookshop for an author reading, but this is not always possible for every author. Why not create videos/podcasts of yourself reading taster sections of your book that you can display online. 14. Run a Virtual Book Tour – Just like guest blogging, you can run a virtual book tour, enabling you to get your book in front of readers across the world. Find and agree with half a dozen to a dozen blogs or websites that are happy to receive you, to discuss your books. Offering exclusives, such as giveaways, question and answer sessions or free excerpts can entice readers to ‘follow’ you across the internet from website to website – just remember to mention where you’ll be appearing next either on your website, or if they are happy to do so, the end of each guest tour post. 15. Online Campaigning – Create a hum around your book. If it’s personal, which others may benefit from reading, whether your book or from listening to your journey, ensure you tell everyone about it. I know many authors who write to conquer depression, or write about illness that either they or their family has suffered in order to just get through the day. Some may call it the ‘sob-story’ tactic, but I call it giving a voice to your personal battles or those of others. Obviously not everyone can manage all of these, but concentrating on just a few can show you a significant difference in not only sales (although they are important) but to general interest in your work. Try them out and let us all know how you get on! If you have any questions about online promotion, get in touch with me at contact@authordesignstudio.com, tweet me on @authordesigner or visit www.authordesignstudio.com.